Saint John’s welcomes children between the ages of one and eleven years old to join in our weekly Sunday School sessions. Each Sunday classes enjoy bible stories, familiar songs and engage in age-appropriate activities. Sessions are offered on Sunday mornings at 9 a.m. during the school year. Each Sunday School session begins in church at the 9 a.m. service, where children will receive a weekly message from the Pastor. Children are then escorted to their classroom by teachers. 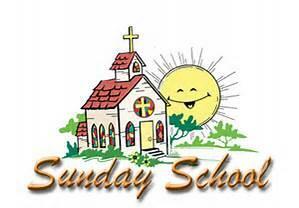 Children are welcome to join Sunday School at any time during the school year. It’s always a pleasure to welcome new children into our church family and to see their smiling faces. Visit the Forms, General Info, News and Classroom Assignment links at the top of this page for additional information.